Magazine ejecting while holstered... help! I have carried my fiveseven in a while now. every time I do the mag release button is pressed hard enough while holstered to eject the mag. the mag release button is badly designed. I use a crossbreed supertuck and a galco thump snap leather for OWB. I have a blackhawk kydex button holster that doesn't eject mags but it is a piece of rubbish. 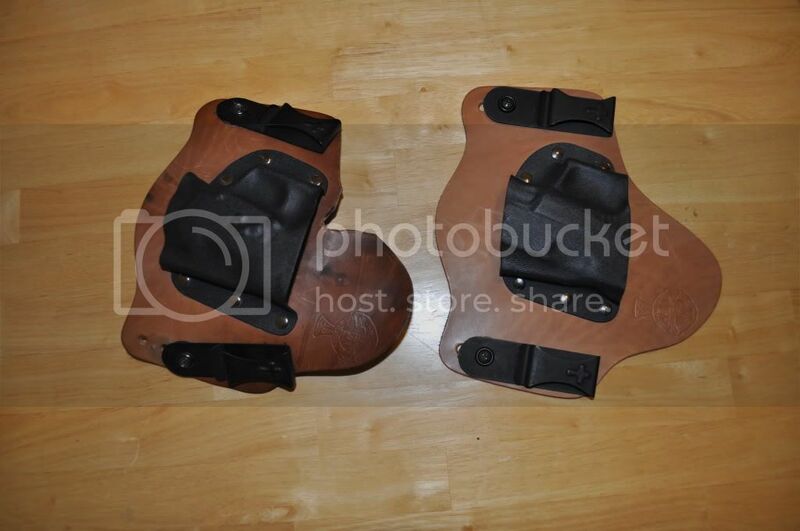 I also have a sidearmor which is a nice holster, but too uncomfortable for me to wear, and sticks out too far. you can imagine my horror as I was riding my dirt bike and ejected a mag while riding. I wanted to sell it for a while, but I like shooting it. what do you all do? I though about shaving the button down but Im jaded to do that. I pretty much only carry IWB, I use my glock20 OWB, so I am not switching holsters, unless there is a better holster than the supertuck. Last edited by n16ht5 on 28 Jan 2011, 00:51, edited 2 times in total. Reverse the mag release and learn to use your trigger finger to work it like you would an HK. the thought occured to me, but I think id just push it on the other side as well. im a pretty aactive person. I've been playing the holster game, but raven concealment looks promising. any input? What in the world, how DO you do this? The mag release is QUITE stiff; compared to other mag releases it is VERY hard to actuate. In fact, it is the most resistant and requires the deepest press to release the mag versus all other handguns I have ever shot. Something is DEFINITELY wrong with the way your holster is set up. 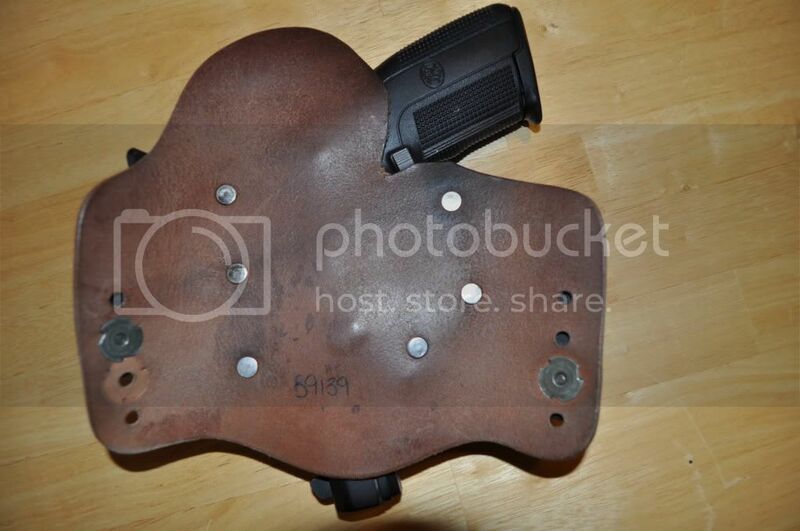 I do not think it is so much the holster but the angle at which it is sitting. Definitely not the fault of the designers of the pistol; the fault lies somewhere else. hhahaha, I guess I am bouncing around a lot. dirt biking, hiking, etc. it has never happened to any other handgun I carry.. 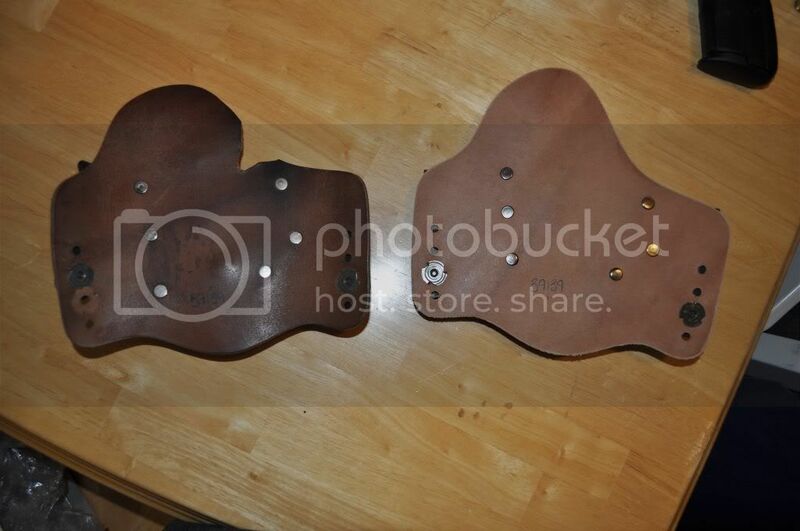 So he just cut the part of the holster that was committing the offense. This solved his problem. Would that help with your holster, sir? I was reading this and wondering-does your magazine ejector take very much pressure to release a mag? It may NOT be the holster. It could be that your weapon is slightly out of tolerance. If the magazine release is 'sensitive' (more so than any of your other weapons) then my suggestion would be to call FN and see if they could take a look at it. If its not more sensitive than your other weapons and you feel the pressure necessary to pop a mag out using the release is correct, then I would try as blue suggested and trim your holster, if that is an option. I had the SAME issue carrying my FsN in my Crossbreed Super Tuck. I had previously used a Blade-tech UCH for many months with no such problem. When I looked closely at the CBST, I saw where the mag release was scraping against the leather as the gun was inserted and then drawn causing pressure to be exerted on the release button. It was a simple fix - just had to cut out a small notch where the button sits. I've been using the CBST for many months since the mod and I haven't had one recurrence since. ah thank you. I think it does feel a little light compared to my other guns. Ill notch my crossbreed too. should take care of it.. excellent. The spring for the button may not be seated all the way in. Mine does the same thing in my Supertuck. I never noticed it until I read a post by jgreenberg a few weeks ago about him making the notch. The next day I was driving and sat back in my chair and heard the "click" of the mag ejecting. I put my hand back there to re-seat it, leaned back a little into my normal driving position again, and it ejected again. Looks like it's time to get my Dremel out. There's a significant imprint in the leather from the mag release button pressing against it hard enough without me sitting against the back of a chair, the slightest pressure from my body into the holster causes it to eject the mag everytime. You can actually just bend the spring slightly to increase the tension. Its pretty much just a paper clip. Yes, twas me, and thanks for the props on the review Blue! One more FNP45T review installment to go - getting my Raven Concealment clone holster (complete with 2 mag pouches and suppressor pouch as well) on Monday - YEEHAW!! !